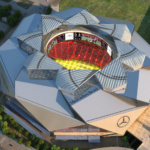 HOK’s Mercedes-Benz Stadium in Atlanta, Georgia, just became the first LEED Platinum–certified professional sports stadium in the world. 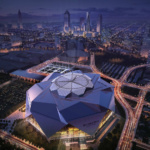 The $1.5 billion project opened in August and is best known for its operable, aperture-shaped roof, but HOK and Buro Happold Engineering have also integrated a suite of sustainability features into the base design of the stadium. 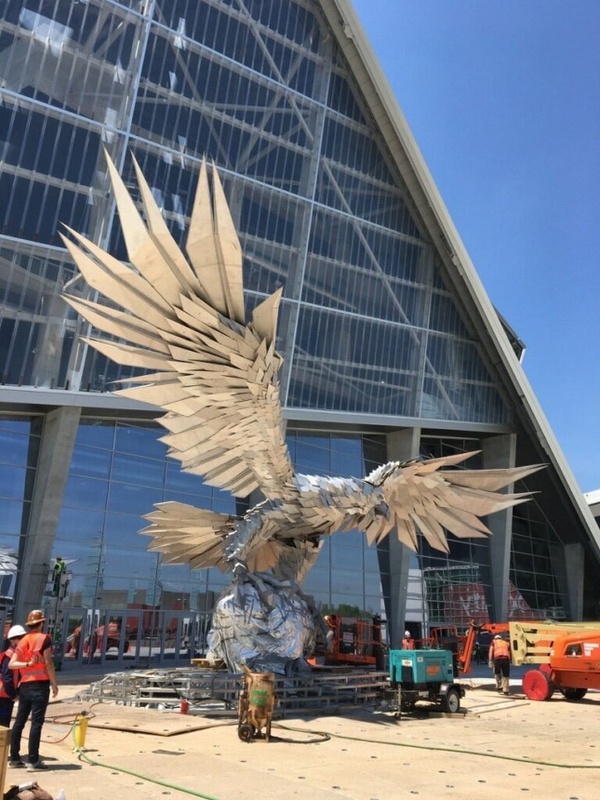 Replacing the now-defunct Georgia Dome as the home of the Atlanta Falcons, the 2-million-square-foot, 71,000-seat Mercedes-Benz Stadium is styled after the Roman Pantheon, as the entire arena is centered around a domed oculus. 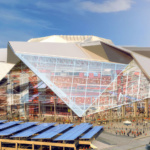 Because the building is multi-use—designed for holding football, soccer, and basketball games—and because Falcons owner Arthur Blank had wanted to build what he described as an “iconic stadium” with a retractable roof, a watertight aperture was designed for the roof. Comprising eight 200-foot-long, 450-ton blades clad in Ethylene Tetrafluoroethylene (EFTE) film, the roof’s semi-transparent iris is capable of opening and closing in only nine minutes. Because every petal needs to swing into place at a different speed, not rotate like a true aperture, the roof uses an algorithm to judge how much counter-balance is needed while the blades are cantilevering out over the field. Reinforcing the centralized focus of the design is a 350-ton, six-story, ring-shaped “Halo Board” seated inside the oculus itself that’s viewable from every seat and angle. Outside, the stadium’s base is a wall-to-ceiling glass curtain wall meant to give uninterrupted views of the surrounding city as fans make their way to their seats. 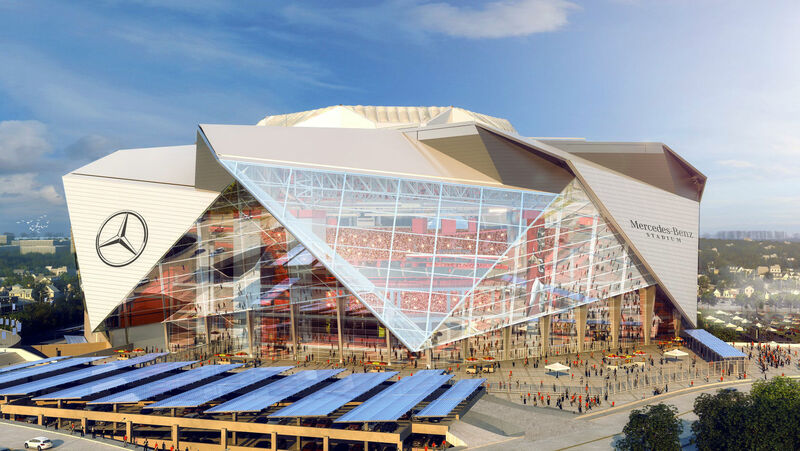 Eight steel and glass “leaves” radiate out from the aperture at the top of the stadium and drape down over the glass at the bottom, referencing the swooping wings in the Falcons’ logo. 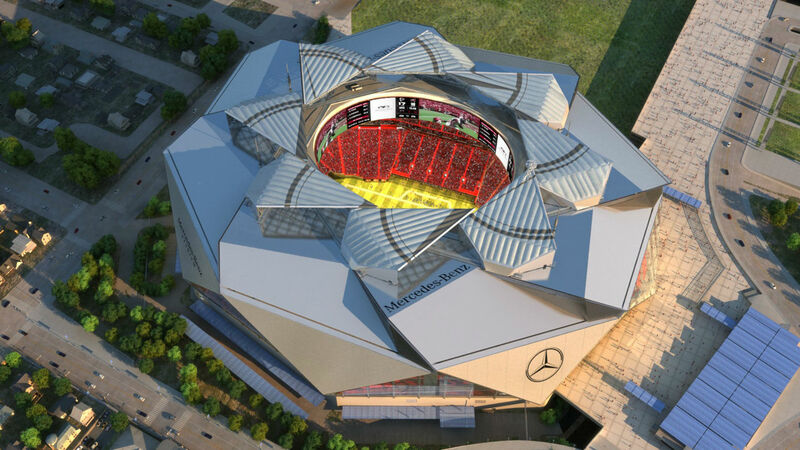 According to HOK, Mercedes-Benz Stadium’s LEED score of 88 points is the highest of any sports venue. Through the use of its 4,000 photovoltaic panels, the stadium produces enough solar electricity to power nine football games, or 13 soccer games. By using water-conserving fixtures and infrastructure adjustments, the building uses up to 47 percent less water than a building of comparable size. 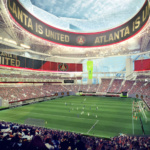 The location was also key, as the stadium is located between three MARTA bus lines and next to a forthcoming 13-acre green space that fans can use between games. The site also features electrical vehicle charging stations, bike parking, and new pedestrian paths. An incredibly complex project that required coordination between architects and structural engineers at every step of the way, the stadium still isn’t fully operational even though it’s in use. 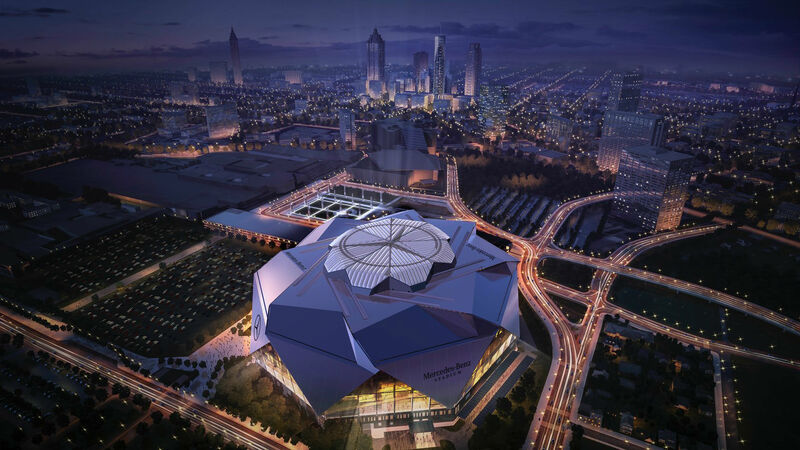 Work on the roof is still ongoing, and engineers hope to have the aperture fully functional by the time Atlanta hosts the Final Four basketball tournament in 2020. 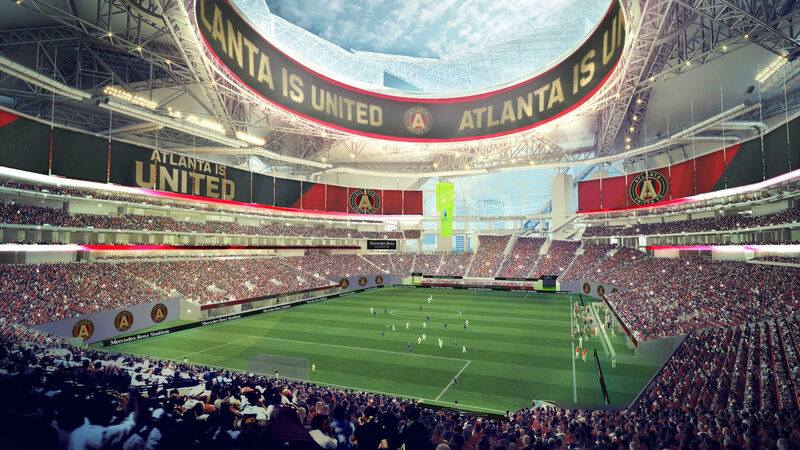 The stadium’s innovative high performance facade will also be discussed more in-depth at Facade Plus’s Atlanta conference in January 2018.